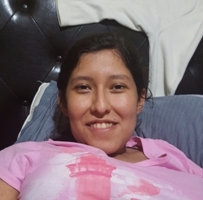 Jennifer Bustos is a 26-year-old young lady who is very ill. After years struggling with primary biliary cirrhosis and autoimmune hepatitis, a liver transplant is her only hope for survival. Jennifer is one of the nicest people you’d ever hope to meet and she needs our help. The cost of a transplant can be overwhelming. Jennifer was born in California and grew up in Little Rock, Arkansas where she graduated from Central High School. She went to the University of Arkansas at Little Rock, but due to her illness could not continue with her education. She had to withdraw from college. Jennifer eagerly looks forward to returning and getting her degree. Together Jennifer and her friends and family are committed to seeing her through this transplant. Transplants are life saving, but financially draining. Even with insurance, Jennifer is expecting very high out-of-pocket expenses. She is facing post-transplant anti-rejection medication of up to $1,000 a month which she will need to take for the rest of her life, co-pays, lab fees, and more. To help with the financial burden of Jennifer’s uninsured expenses, a fund raising campaign in her honor has been published with HelpHOPELive, a trusted non-profit organization that has been providing community based fund raising guidance to patients and their families for more than 30 years. All donations are tax deductible, are held by HelpHOPELive in the Southeast Liver Transplant Fund, and are administered by HelpHOPELive for transplant-related expenses only. Please consider an end-of-year tax deductible contribution.